Regarding the Final Fantasy!Cid profile here ; is it better to post it in this thread? Captain Alex's GUAG Special Crimes Division and the GUAE Groups page are in progress. Please help update them. Where in the House of Narrative should I put A2 for Not What It Looks Like? After the fix-up of the temple for Cecil and company, they figured it was time to find a spot for some of their heralds. When looking at a list of vacant titles, Palom immediately jumped on one and volunteered himself and his twin sister Porom for Black and White Magic. He reasoned that they are the perfect duo for the title, given their practice and their dynamic, though it's actually because there aren't any other candidates. And so, once the motion was sent to the Court and was passed, the two ascended without any issue. Both are powerful spellcasters on their own, but their most powerful spell is the Twincast, where they can cast some truly powerful spells such as Comet, Pyroblast (mini-Flare), Twin versions of the -ga levels of Black magic, and Twin Meteor. This art is not actually exclusive to them, however; Cecil and company (well, just the "Final" party) can do it, too, and Golbez has done one with FuSoYa. Also, Zidane has seen Twincast in action from the Alexandrian jesters Zorn and Thorn. Both get quite a bit of attention for not only being the best in their fields at the age of five (without being some sort of Tyke Bomb), but they haven't lost (much of) their touch upon growing up. Rom and Ram immediately befriended the twins as soon as they encountered them together and a few theming similarities can be seen. That said, even Palom knows the value of books and neither he nor Porom appreciate her throwing them. As practicioners of magic, they of course got acquainted with their neighbors, starting with the Final Fantasy ones. Porom was in awe of Aerith's power and grieved for her sudden departure from the living world, and Palom could see Vivi's potential and respects Lulu's prowess. Both despise Black Mage not only for his evilness and all the atrocities he's done, but because Palom can also sense his potential to be great (and therefore more dangerous) should he set his mind to it. Oh, and there's also the sacrificing children thing (though not without a reason). After Marisa got caught trying to find tomes to steal in their temple, and after a very trying magic showdown inside there, prolonged by Marisa's dodging capabilities and the twins' teamwork, the battle was interrupted by some stronger magic duel damaging the temple, giving Marisa the chance to escape* While she could've escaped far earlier, she wanted to gauge their abilities firsthand. while the twins handled the threat. Despite his attitude, Palom is a surprisingly good at teaching Black Magic (not the profane Black Magic, but the elemental offense type). As such, he sometimes finds himself called over at Elysium Academy or Mahora Academy. It's not known if Porom can do the same in regards to White Magic, though. Additionally, he actually has more magic power and capacity than Golbez, a Lunarian, whose kind introduced magic to the Blue Planet. Palom is secretly a little jealous of Rita's capacity to simplify whatever spells she needs to cast, but recognizes her intellect and that she studied hard to even be able to do that. Concerns were given regarding her After Years attire, given…how much one can see through it, as well as the possible lack of undergarments. While not as proficient in them as Rosa is, Porom has some experience with the bow and arrow. She prefers staffs, though, as they can potentially raise her magic power. James Heller was already in the Pantheon for quite some time now as a follower of Rick Taylor a.k.a. The Terror Mask. 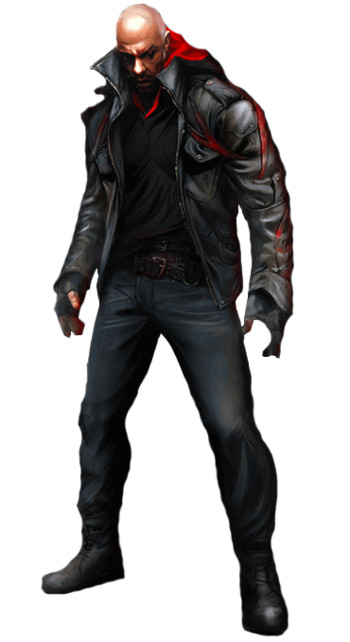 Given the serious concerns with Alex Mercer being…updated with the terrible sequel's events, it was decided that it was time to find a spot for Heller, given he already defeated Mercer and consumed him in that timeline, so that there's someone on call who can match him. Given his primary emotional state (justified it may be), Heller was picked for Angry Black Man, which he's annoyed by, but eventually got over. Here's one thing you should take note of regarding James Heller; everything Alex Mercer can do, he can do, too. Sometimes more, and sometimes better. Anyone he isn't in good terms with should exercise extreme caution, as much as they would in Alex's presence. Fortunately for the GUAG, he's on their side, though he's not really used to having allies who can fight by his side yet. Fortunately for the rest, he also possesses the same weaknesses, minus perhaps a few. Speaking of Mercer, there are two popular theories regarding Alex's behaviour in he sequel. Either Real!Alex resurfaced and took control, or Virus!Alex was deliberately trying to create a warrior strong enough to one day fight against PariahWho? Pariah is only mentioned in the first game's Web of Intrigue. He's Elizabeth Greene's son and is the perfect incarnation of the Blacklight Virus, with Alex Mercer basically being an artificial version of what Pariah is naturally. He was believed to be the only one capable of defeating Alex and it's outright stated that a meeting between the two would likely have catastrophic consequences. Unfortunately, the second game only had an incredibly brief mention of him and nothing else.. It might actually explain his recent behavior in the Pantheon. In any case, Virus!Alex would either be grateful that Heller defeated Real!Alex, or otherwise glad that he accomplished his goal of creating a warrior stronger than himself. Either way, no matter the reasoning, because of the casualties he's mounted (not that he can call him out on that given his own actions), Heller still wouldn't particularly like him. As Mercer's top enemy, he's gotten acquainted with the Blacklight Virus's enemies as well. Some who oppose Heller, and those who try to get along with him. Among his new allies are Ken Kaneki, Labrys, and Fluttershy (he gets too annoyed by Discord). As for Eren, not so much, especially in light of his actions as Kruger and his willingness to turn on his former allies and harm children to reach his goal. He's also gotten acquainted with Commander Shepard, Master Chief, Doomguy, and Isaac Clarke, though so far only Shepard is most open with befriending the infected "hero". As someone who's rebelled against his "creator", Alucard understands James in that regard, even if the latter's case is less literal. Given he's also seemed to abandon his humanity just like Mercer, he doesn't like Jimenez either. Sure, the transformation was an emergency, and he chose to have it happen, but that's not the issue here. If you can't get around it, go through it fast. Personas and Nanos, make 'em here. Get Ready; the Pantheon is about to get nicknamed all the way. And he doesn't care if there's a typo in requests; he will say it as it is spelled out to him no mattter what. What more should I add to the Forces of Nature? One of the legendary groups of Pokemon in the Unova region are three genie-looking beings, known as the Forces of Nature. Based off kami, these Pokemon are forces who can control the weather. Tornadus and Thundurus use it to cause mischief, while Landorus helps with crops and is a force of fertility. Through the Reveal Glass, they take a more divergent Therian Form. The Forces of Nature are supported by clouds, which they still retain some elements of it in their Therian Form. Along with resembling genies, they are also based on oni. The three seem to be friendly towards Yuugi Hoshiguma, a more obvious oni, though Landorus is a lot more cordial than his brothers. As bringers of storms and rain, they seem to appreciate Chaac for being a fellow weather deity. Again, Landorus is the more polite of the three in interactions with Chaac. 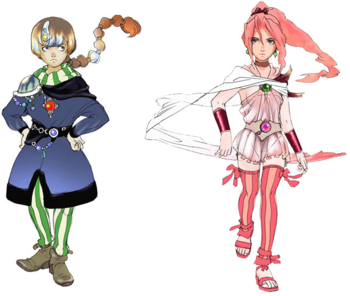 All of them would rather stay away from any ice-using deity, since they all share a weakness to Ice type attacks. Especially Landorus. Tornadus and Thundurus are the two trouble makers of the Forces of Nature, who like to cause weather problems for no real reason. Not truly malicious, but certainly troublesome. 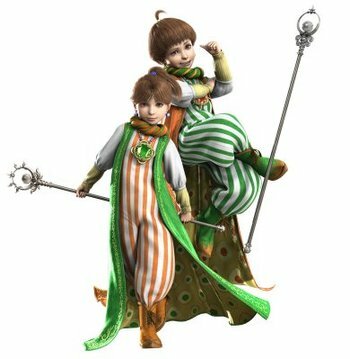 They're also Trickster Twins who are rarely seen apart. They seem to be fond of the Weasley twins for their bond, and the pranks they pull off. Tornadus and Thundurus got along with Beerus, as they like his laidback nature. Also, like them he was an example of Jerkass Gods. However their jerkishness has limits. While they initially though Bill Cipher's Weirdmageddon would be a fun party, it proved too destructive and evil for them. Tornadus is known as the Cyclone Pokemon, and is capable of zooming around the sky in 200 mph. He is the member of the Forces of Nature that spends the most time in his main house. As a bringer of storms, Tornadus felt a kindred spirit in Al'Akir and they became partners. He has a friendly rivalry with Whammu over who can better weaponize wind. Thundurus is the Bolt Strike Pokemon, who shoots lightning all over the place. This causes forest fires that lead him to be disliked. Given his temperament and thunder power, he gravitated to Zeus. Seems to be fond of Sparky when he's in a good mood as well. Thundurus has a rivalry with Eneru, who claims to be the real god of lightning. Landorus is known as the Abundance Pokemon, as lands visited by him grow bountiful harvests. For this reason Landorus is a close ally of the Nature Preservers. Smokey the Bear soon partnered up with Landorus due to the Pokemon helping restore damage from forest fires, thanks to his typing and experience in cleaning up Thundurus' mess. He was considering Viridi as a partner due to being a nature spirit and guardian, but she was already taken. Though they still like each other a lot because of that. The Only Sane Man of the Forces Of Nature, who reins in and punishes Tornadus and Thundurus when they misbehave. Landorus ended up getting a shrine for that. Rayquaza saw the similarities between the two and they soon became friends. Landorus ended up getting along with Ra and Quetzacoatl since they're benevolent caretaker gods with some concern for the environment. Opposes the GUAD as their desire for destruction is antithetical to Landorus' role as a guardian spirit of nature. He isn't fond of Set, due to using desert storms for evil purposes compared to Landorus who benefits from sandstorms. Being a sort of guardian of nature, Landorus finds the Spring Sprite to be a great help in giving lands abundance once more. And with that, David Attenborough round three! To many people, Sir David Attenborough is consider the face and voice of natural history, and with a career spanning over sixty years, is widely regarded as being one of most iconic figures in British Television, and something of a national treasure. His work as a narrator and producer for the BBC's many nature documentaries helped to showcase the many spectacles and tragedies of the natural world for millions to see, and inspired millions more to help protect it for future generations. Attenborough's work resulted in him being invited to the Pantheon, where he can narrate and document the natural worlds beyond Earth, and the magnificent creatures inhabiting them. With his arrival in the Pantheon, Attenborough made himself right at home, travelling to the House of Beast and documenting several species that had gone extinct in his lifetime, including the thylacine note went extinct in 1936 , Caribbean monk seal note went extinct in 1952 , heath hen note went extinct in 1932 , and, most notably, reuniting with the Pinta island giant tortoise known as Lonesome George. George was the last of his kind, and his death in 2012 served as a reminder of the importance of conservation, which Attenborough, who was among the last people to meet the tortoise, endorses very much. While he has travelled the multiverse and showcasing the marvels of nature on other worlds, Attenborough feels most at home on Earth. 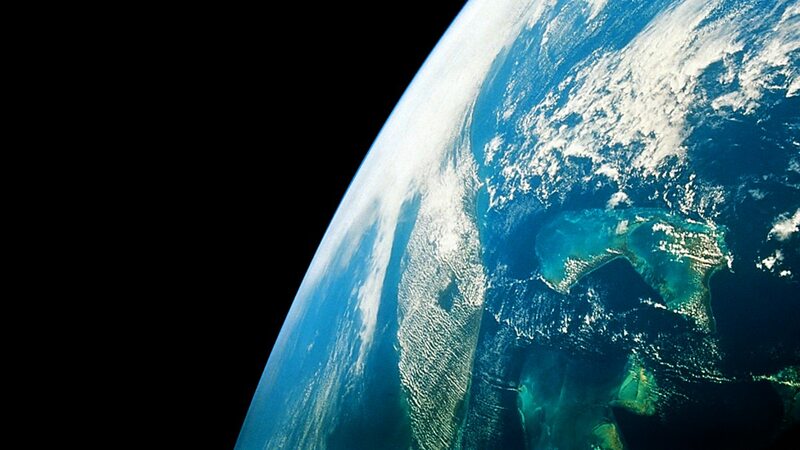 The reason for it is because Earth is the only true planet - a planet outside of the fictional spectrum - that has complex life, and it is just as spectacular and unique as anything seen in the cosmos. That said, he occasionally likes to make journeys back into the prehistoric past and encounter the many organisms that came before man, with the non-avian dinosaurs being at the top of the list. In his journeys across the multiverse, Attenborough made himself a number of trustworthy friends, most of whom act as guides while traversing the worlds. Three of his guides, Vixen, Aquaman and N, all share an incredible connection to nature - not to mention all being big fans of his work - and as such have helped to educate the naturalist on other fictional creatures, with Pokémon being of much discussion. It's actually through N that Attenborough came to respect the time-traveling Celebi, who often pops in during filming to bring snacks or to have some fun. David Attenborough is loved and respected by almost every deity in the House of Beast, due to his charismatic nature and friendly demeanour. That said, he sometimes has a hard time entering the Sub-House of birds. It may have something to do with an encounter with an aggressive male capercaillie when first entering the house. That said, as long as it's not capercaillie breeding season, Attenborough will enter and document the majesty of the Pantheon's avian residents... even if they want to interrupt him. He does however, not want to talk about his last encounter with a rather peculiar lyrebird. It's actually the reason why he avoids Jerry Seinfeld and his crew. He does not like rats. At all. When asked why that is all he responded with was simply, "Always check the lavatory." Even if he is a Friend to All Living Things, Attenborough does have standards, and as such, he doesn't see eye to eye with Napoleon, due to his corrupt nature and how his Animal Farm became a dead ringer for Josef Stalin's Soviet Union. Naturally, the tyrannical swine has no time for the complaints of another human and thus keeps his distance. He also has trouble trusting Poison Ivy and Viridi who, despite being fans of his work, want to wipe humanity right off the map to restore The Green. While he may dislike human overpopulation, even David finds the plant-based deities methods to be too much and keeps his distance. Attenborough doesn't consider himself a god, as he is a firm supporter of the theories of evolution and natural selection, and has a very low opinion of those who are fundamentalists that goes back even to the Mortal Realm. The House of FAITH, as well as other religious figures have mixed feelings on the matter; some like Seymour Guado, Leopold Goenitz, and Judge Frollo have declared David a heretic and want to see him dead, while others like Palutena, Erica Fontaine, and even Aslan respect Attenborough's beliefs and have offered to help him no matter what. 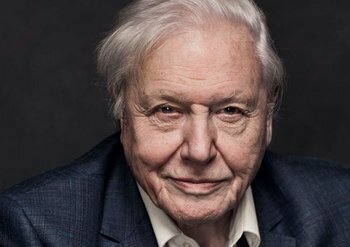 As an advocate for conservation efforts and preserving the environment, Attenborough is in full opposition of those who would want to destroy nature for their own gain. Mr. Burns and Looten Plunder are high on the list due to their destructive, monetary habits - not to mention fuelling the powers of Hexxus, Anton Arcane, and the Lich at the same time with their pollution - while Pokémon Hunter J, Gaston and Cruella de Vil receive his disgust due to the treatment of the Pantheon's diverse wildlife. He's also not a fan of the senseless destruction unleashed by The Firebird - which gave him an ally in the form of the Spring Sprite - and Lysandre's desire to preserve the world's beauty by destroying it with the Ultimate Weapon. Some of these same deities were quick to point out how Attenborough once ate raw sea turtle eggs and kept a "pet" ape back in the fifties, but David was just as quick to fight back, acknowledging how those acts are frowned upon in The New '10s and his desire to make amends with his past actions. Has very few things to say about N's father Ghetsis, other than what others have already said. Attenborough's love for the natural world and his desire to preserve it is the main reason he was made an honorary member of the Nature Preservers, as he serves as a voice for those without a voice. From time to time, Attenborough will take time out of his busy schedule and indulge in some good old fashion self parodies of his narration style. One such example happened when he narrated the intro to Adele's Hello . The entire Pantheon keeled over in laughter and it was even rumoured that Melkor himself even gave a slight smirk upon hearing it. Time to explore the world! @r-lock So you were spelling "Batman" wrong on purpose? That's fine, but you might want to do something to make that clear before someone ignorantly "corrects" it down the line. I'm not good. I'm a gazebo. So here it is, an initial draft of Dr. James Marcus. He was reborn as a leech monstrosity, seeking to destroy Umbrella and the world. He is weakened by sunlight and a bit of a Wicked Cultured. Dr. James Marcus is one of the three founding members of the farmaceutical company known as Umbrella Corporation and he was the one responsible for the creation of the infamous T-Virus, a variation of the Progenitor Virus that he and his collegue Ozwell E. Spencer discovered. Throught his life, Marcus was an amoral scientist who valued only the development of his creation, caring little for the wellbeing of his staff and his partners wishes, culminating in a rift with Spencer that ultimately ended in the assassination of Marcus commanded by his then students and trusted right hands Albert Wesker and William Birkin. 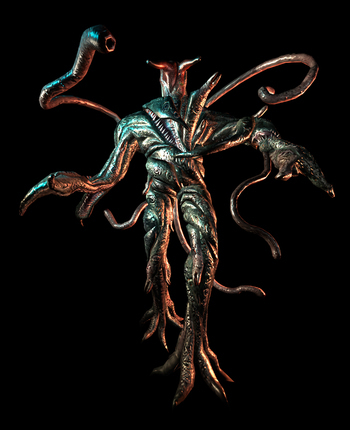 Miraculously, Marcus' biggest creation, the Queen Leech, bonded with his body and attained his memories. The newly reborn James Marcus sought to brought the world to ashes and take Umbrella down with him, but he was ultimately put down by rookie S.T.A.R.S. member Rebecca Chambers and Death Row inmate Lieutenant Billy Coen. The influence of Marcus lives on as his creations involving the T-Virus ended up shaping the world into a bio-terroristic haven. for Zavok for King Koopa Copy and 073/Cain for Mundane Utility. So, I was suddenly jonesing for the Dr. Horrible soundtrack yesterday, and I noticed that there was a Pantheon page for the Sing-Along Blog, but when I looked into it, I couldn't find the sole entry's profile. Is Captain Hammer still in reworking? Because that subpage was made after he was taken out of Anti-Heroes and into Reworking. Come on, Nasu! Just give us the TSUKIHIME REMAKE!!! So how about the Norts? 2 days since getting 2 upvotes. Any more? Sgt. Jack Barnes is a paratrooper from the 501st PIR, 101st Airborne Division. Like Major Winters and Captain Spiers, his fellow divisionmates, he's also a veteran of Normandy and Bastogne. Late in the European War, he and his superior Capt. Monroe are reassigned to the OSS. Their first and only operation as part of this group was in Berlin, assisting a Soviet recon unit in retrieving important intelligence from a crashed USAAF recon plane and the ruins of an SS headquarters. During this particular operation, Barnes became Trapped Behind Enemy Lines, and was forced to commandeer and operate a captured T-34 tank and drive it back to Soviet lines, all by his lonesome. During his escape, he was able to operate the main gun and commander's machine gun without any difficulty, and in the process was able to destroy a large number of German tanks, artillery pieces, and armored vehicles. Among these included the deadly Tiger I heavy tank. Unlike Lt. Mike Powell or Cpl. Boyd Travers, who have none of the skills to operate crew-served weapons or vehicles alone, and in the latter's case even required a fully trained tank crew to help operate a King Tiger during a mission, Barnes is more than capable of operating the aforementioned T-34 tank all by his lonesome. And he can even operate artillery pieces and flak guns as well, something that perplexes both Powell and Travers, who can only so much as blow them up. As with his first mission in Normandy, Barnes arrives into the Pantheon via a C-47 Skytrain, and once again comes under heavy Anti-Air fire from German forces, in this case Waffen-SS soldiers, who immediately recognize the roar of the transport's engines. And again, Barnes is forced into parachuting early, and ends up becoming mis-dropped and Trapped Behind Enemy Lines once more. Armed only with an M1 Garand rifle and Colt M1911 pistol, he makes his way through the German lines with caution. Thanks to some luck and the element of surprise, he kills a few Germans, and manages to take their weapons, in this case an MP 40 submachine-gun and a STG-44 Assault rifle. Eventually, he gets ambushed by a German platoon, only to get saved once again by British soldiers who manage to ambush the German troops in return. These soldiers turn out to be Captain John Price and "Soap" Mactavish, who are all too glad to help Barnes find his way back to American lines in the Pantheon. The two SAS soldiers hand Barnes over to Major Richard Winters and Capt. Ronald Spiers, also from the 101st Airborne Division. 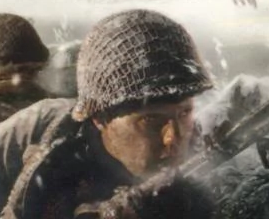 Many deities note the similarity of Barnes' experiences in Bastogne as being remarkably similar to those of Lt. Spiers, something that is constantly brought up whenever they find out about his experiences in Europe. Given that Steven Spielberg had a hand in writing Barnes' story just as he did Powell's, this is more than likely intentional. Under the Major's command, he eventually meets fellow Normandy veterans Lt. Mike Powell and Cpl. Boyd Travers. All three of them recall their experiences in Europe, and get along rather well when push comes to shove. The only thing that puzzles them is the aforementioned fact that Barnes can man crew-served artillery pieces without any difficulty. While Barnes has been Trapped Behind Enemy Lines like Powell numerous times, he isn't a Stealth Expert, due to being a trained as a paratrooper first and foremost. Katyusha admires his tank-driving ability in the T-34, and at one point even asks is he can help her man one of her tanks during a competition. On the other hand, seeing Maho Nishizumi and her Panzer IV doesn't give Barnes any good memories, having dealt against the remnants of an entire Panzer Division during the Berlin Offensive. Thus, he prefers staying away from her tank. Is noted by many deities to have more than one similarity to Viktor Reznov, mostly to do with their voices sounding familiar, their involvement in the Battle of Berlin, and their ability to operate a T-34 tank without any issues, except in Reznov's case he needs additional men. When they do meet, they get along pretty well, with both recounting their experiences during this Final Battle to one another. First draft for the High Standard HDM for the Armory. Anything I need to add and remove? A specially modified pistol adopted for use by the Office of Strategic Services. The pistol's noted ability to make almost zero noise was demonstrated by its founder, "Wild Bill" Donovan, in front of President Franklin D. Roosevelt by firing an entire clip of live rounds around him. It was only after Donovan told the President about him firing the gun did the latter notice the bullet holes around his chair. Like the Welrod, a British handgun with a similar design and purpose, it is a rare sight to behold, with only 2,600 such guns being made. Aside from its Hollywood Silencer, its other noteworthy ability is its surprisingly massive stopping power. Even when compared to the more famous Colt M911, this gun can take down enemies in a single shot to the torso, even from a distance. The only real disadvantages to this weapon are its slow firing rate and inaccuracy at mid to long range. The gun found in the Pantheon's armory belongs to Lt. Mike Powell, a US Army Ranger and part-time OSS operative. Specifically, this is the one handed to him by French Resistance leader Manon Batiste during Powell's attack on a German command post near the St. Lo. Powell himself carries a second HDM pistol, with that one being issued to him just prior to the raid on Fort Schmerzen. This is the alternate account of user Rmpdc.Dcstr 94. Thanks to circumstances. There are more? I think we are fine with what we have. Although, we might want to find a better trope for Ansem, Seeker of Darkness, since he's now gone for good. Even his profile admits that the trope works better for the heartless in general than him. Okay, I found out that Captain Hammer has descended from the Pantheon, so this page should be deleted, seeing as there's no other gods from Dr. Horrible. Furthermore, following the disbanding of Two Best Friends Play and the fall of Channel Awesome, that would leave YouTube as the sole sub-page of the Web Video part of the pantheon, and at that point, might as well relocate all the examples found on the YouTube page onto Web Videos and then axe the YouTube subpage. @nightelf37 I still think Heller should have an interaction with Kratos and Asura. Regarding Palom and Porom, I think you can add interactions with the House of Twins, as well as mages such as Arche Klein, Atsuko "Akko" Kagari and Wendy Marvell. Additional Character Relationships: Members of the Pantheon that have various relationships (examples include Enemy Mine, Vitriolic Best Buds, Teeth-Clenched Teamwork, Headbutting Heroes, Friendly Enemy, Friendly Rival, Just Friends, etc.) other than allies, rivals, or enemies. A member of the Aburame Clan, Shino was offered to several special breeds of insects as a nest shortly after birth. These insects then lived in symbiosis with him as their host from that point on, feeding on his chakra and, in return, serving him in combat and allowing him to perform his clan's insect-based techniques. 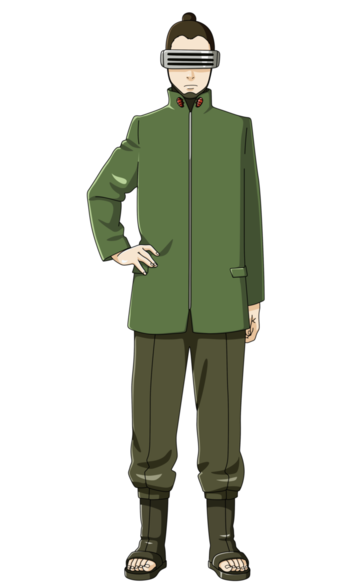 After graduating from the Academy, Shino was assigned to Team 8, becoming teammates with Hinata Hyūga and Kiba Inuzuka. Following the end of the Fourth Great Ninja War, Shino became a teacher at the Academy. Shino and his clan originally ascended into the Pantheon as followers of Rick Taylor/The Terror Mask and Agitha. Impressed by his abilities, both deities sought to grant him a title. Eventually, they settled on Pest Controller, successfully ascending him as a god, much to the pride of his clan. Shino spends most of his free time in the House of Insects, seeking to find and breed new insects. He's often accompanied by Agitha and Sig, who are both quite fascinated by his symbiotic relationship with his insects. Due to his insect expertise, he's frequently called upon whenever any evil insect deities start causing trouble. He's particularly shown a special interest in trying to render the Terraformars less dangerous. However, their instinctual hatred of all Humans has made his efforts to approach and reason with them incredibly difficult and, so far, unsuccessful. Shino's ability to control insects has caused Oogie Boogie and Zouken Matou, whose bodies are composed of insects, to generally avoid him. While Shino doesn't regard Oogie Boogie as much of a threat, he's interested in acquiring a couple of Zouken's crest worms in order to tame and even use them against him. Shino strongly sympathises with Taylor Hebert, as she's a fellow insect controller. Shino wishes to get her away from a villainous lifestyle altogether to give her a better life. Being a teacher, Shino frequently visits the House of School. He's also on good terms with Suzune, respecting the fact that she really cares for students despite her occasionally harsh training. Yeah we got rid of Hammer because of a poor profile so the Dr. Sing along page can be removed. Thanks, long time Pantheon looker ater, first time forumgoer. And yeah, I know there's still Channel Awesome gods, but the subpage is gone, the Critic and Bum mixed in with the YouTubers. In any case, any franchises you are into? Any character you are interested in making a profile of? Nothing comes to mind. I'm more of a reader than a writer when it comes to the Pantheon.